Discussion in '2005 - 2015 Toyota Tacoma' started by kp.taco, Sep 11, 2017. Yea. 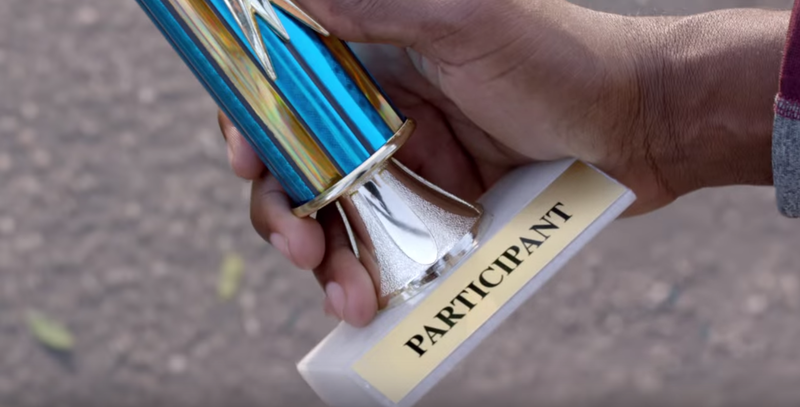 You participated in something. An instead of having real winners, they have Everyone a trophy. Been through this my whole life hahahhaha. I give myself trophies all the time. whippersnapper02 and Bogunn like this. He deserves the trophies more than anyone on the forum. The_Dirty_Dixie, 4wd and whippersnapper02 like this. I should get one trying to polish a turd. Crawdad and whippersnapper02 like this. The_Dirty_Dixie, 4wd, Bogunn and 1 other person like this. So, does makes him/her trophy wife? 4wd and whippersnapper02 like this. Lol. Not mine. Why? Are you looking for a nice fella to settle down with and eat your fritters with? 4wd and Bojangles like this. More an eat fritter and leave kind of fritter. Nah, my ginger lady brings fritters to the yard. Besides, i dunno if Nancy can cooks. So Nancy can show off his trophy points some more. whippersnapper02, OR17TRD, Bojangles and 1 other person like this. yeah I need a virtual trophy! What the **** is wrong anymore? This society is so void of self worth. Seeking acceptance from a world of people who don't know how or can't participate in life for real! People need to earn life. Participate, be a human being. Be kind, compassionate, help others by not expecting anything in return. Be in the moment and experience life. I mean really be in the moment. It is hard anymore, because we are so devoid of the human experience. Media keeps some in fear of just about everything. Bogunn, kp.taco, B-Man and 2 others like this.